Data analysis, findings and other data resources found on our website may be reproduced, shared or disseminated with appropriate attribution to the Wyoming Survey & Analysis Center at the University, without notification or approval of our organization. 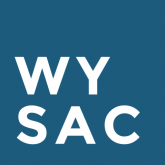 Appropriate attribution is considered a thorough attempt made to listing WYSAC as the content source, author, or originator, including, but not limited to, the use of our full institutional name (“The Wyoming Survey & Analysis Center at the University of Wyoming”) and/or URL of our this website (http://www.uwyo.edu/wysac). If you plan to use a significant portion of written and/or visual content electronically and/or in physical mediums, WYSAC asks you notify us of your intention in writing via the Connect form on our website. This helps us keep track of the who, what, when and how of our research and insure accuracy of reproduction for the benefit of our clients. Though many of our reports, research, data, and applications are available directly to the public, we as a center yield to the recommendations of our clients to what specific data or research is publicly disseminated or shared. Some of this content can be considered proprietary to our client, and we respect their choices in dissemination. If you have any questions concerning our data, using it for your own purposes or reproduction, please contact us via our online contact form, specifying the content is in question.